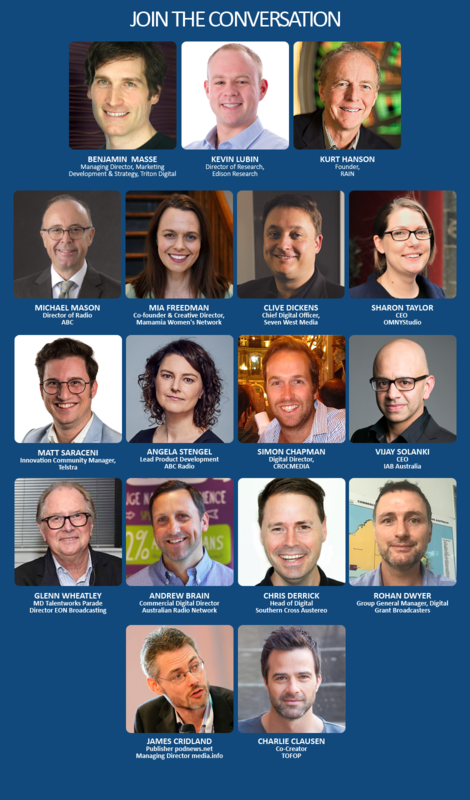 RAIN SUMMITS LAUNCH DOWNUNDER IN AUSTRALIA! FRIDAY OCTOBER 13TH IN MELBOURNE! 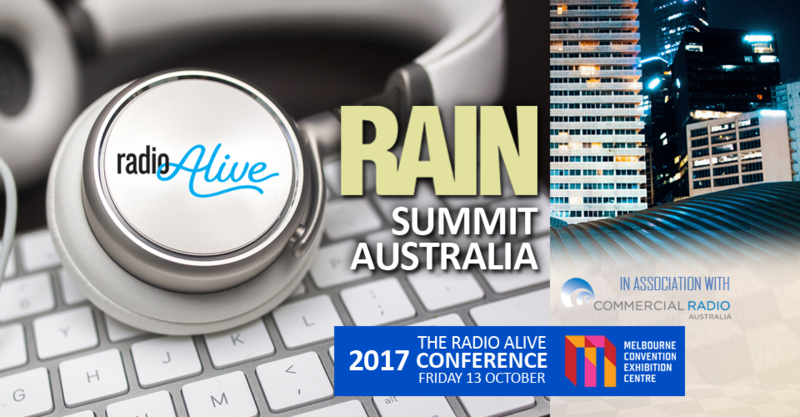 In partnership with the CRA – Commercial Radio Australia, RAIN presents the inaugural RAIN SUMMIT AUSTRALIA, an exclusive thought-leadership event at the Melbourne Convention & Exhibition Center, Friday Oct.13th from 2:00pm as a part of the Annual National “2017 RADIO ALIVE” Conference! CLICK THE BANNERS BELOW TO RESERVE YOUR PLACE AND STAY!